The intersection between the avant-garde cinematography and Romani families (Roma, Manush, Gitanos, Gypsies, Travellers, Sinti, Zingari) combines two forms of critical initiatives : visual replicas on the one side, developed against the figurative defamations to which these families are subject, as a work of documented objection and rectification, putting the ideological dimension of imagery into the light ; and on the other side, the descriptions and statements made freely, outside of any polemic or prejudice. The modern history of figurative defamations “starts with the invention of photography” (Menelaos Karamaghiolis, Rom, 1989), e.g. with the images of Romani families, massively co-produced by the police systems, mass media and cultural industry. 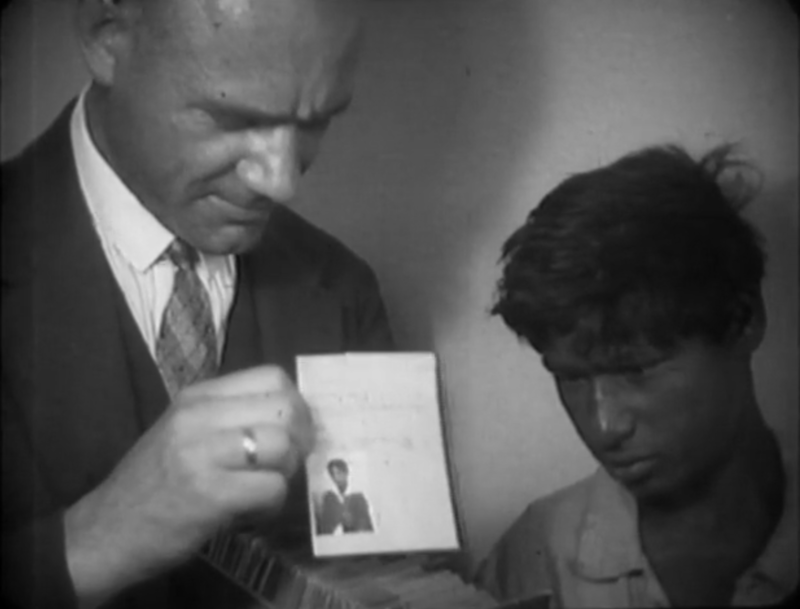 To the visual regime of the majority of images – that, since the end of the 19th century, have pulled back the comprehension of Romani families into social and moral miserabilism – are opposed the way that documentarists such as Pilar Arcila & Jean-Marc Lamoure, Caterina Pasqualino & Chiara Dambrosio, look at, listen and pay attention to these families. These filmmakers disprove the photogenic aspect of misery, especially thanks to the voice of said families and the emic poetry through which they see life. Additionally, in the face of the fantasy imagery picturing Romani families that is deployed on postcards from the beginning of the 20th century on, to the most recent cinematic fables, artists like Daniel Gontz and Menelaos Karamaghiolis manage to put a twist on these sometimes almost mythological topoi. 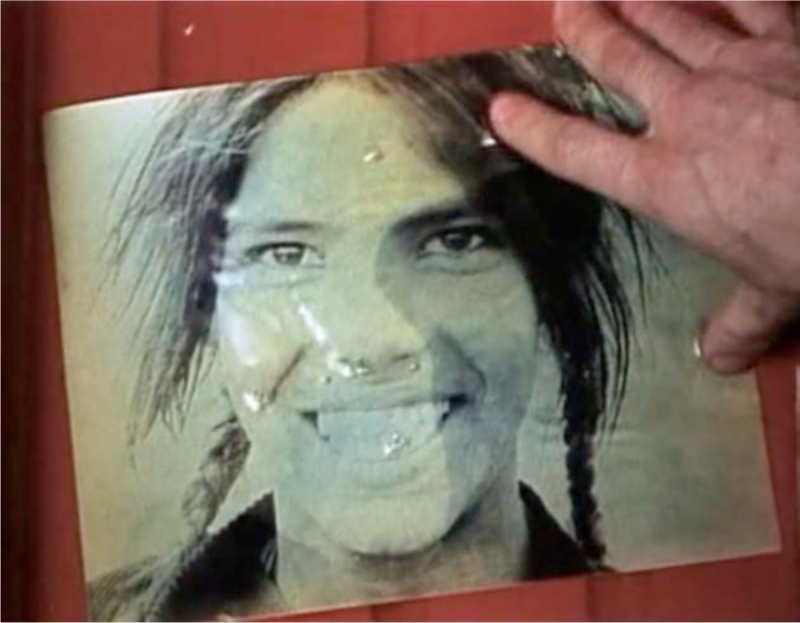 From a historical standpoint, in the continuity of Peter & Zsóka Nestler, Charmant Rouge dedicates himself to classificatory and police-related images that have accompanied the monitoring, administrative control, detention and later the deportation of Zigeuner by the German authorities. Charmant Rouge also exhumes a voyeuristic aspect from the Austrian archives where Romani are reduced to touristic curiosities, ontologically comparable to prisoners in a zoo. Similarly to Yervant Gianikian and Angela Ricci Lucchi, Charmant Rouge and Menelaos Karamaghiolis show how amateur images gain visual sovereignty within the controlling environment itself. The Romani Cinema presented here claims on the contrary plurality, complexity and creative initiatives from the Romani families. To begin with, films have affirmed a culture of contact between Romani families and avant-gardes. This contact culture, which appeared with literary bohemianism in the 19th century, lasts into the 21st century, as films by Ben Vine, Tomáš Doruška or Mona Vătămanu and Florin Tudor show it. Their films oppose ostracism and discrimination based on the show that is expulsion and the overpowering longevity of silver halide photography. As part of his cooperation with the Shukar Collective, partly made of gypsy musicians, Daniel Gontz oppose a secular, visual regime to the powerful and ephemeral energy of a music score by VJing. The conditions of the possibility for an encounter become a stake of documentation work, thanks to the ethnologists from the CNRS : Yasuhiro and Kimie Omori undertake a visual improvisation in 16 minutes ; Caterina Pasqualino and Chiara Dambrosio study the forms of resistance inspired by flamenco music and the political history of Granada. With Pilar Arcila, the encounter becomes a common enterprise : Le Pendule de Costel (2013) establishes an editing method that is neither alternating nor parallel, but that we could qualify as auxiliary, between her own Super 8 images and the digital ones of a gypsy family. The result is a high density visual experience that is at the same time ethical and aesthetic. With Tomáš Doruška, the encounter becomes a political upsurge. For the first time, a film in Romanès language was broadcasted without subtitles on Czech public television. As of the end of the 1970s, a properly Romani contemporary art form is developed. It is represented by the works of Katelan Foisy, Delaine Le Bas, Damian James Le Bas and Phillip Osborne, as well as the female authors of the collective film Sárral kevert vér (2014). Their work features the way Romani communities experience time – as a collective memory (Chuvihoni), highly poetic (Rokkerenna), searching for remnants and signs of the English-Romani culture at the heart of the modern, urban space (Delaine Le Bas’ Gypsylands). These works are also the traces of a memory (Sárral kevert vér) and culture (Witches Compass) that were lost following the genocide and the migratory movements it induced. It is through the contact with historical avant-gardes in general, and Taylor Mead in particular, that Katelan Foisy reinvents her history and culture (For a Gadjo). This Romani Cinema repoliticizes and reconfigures space, history, experience, and writing. It brings us a counter-culture "at the avant-garde of our people, of Europe, of the world" (Ethel Brooks), the science of this people about which has been made notice that it is the only one never to have started a war. This set of films was screened as a program section for the avant-garde sessions at the Cinémathèque Française on June 17th and July 15th 2016. We would like to thank warmly all the authors and the film distributors as well as Emilie Bujès, Maria Komninos, Phaedra Papadopoulou, Cécile Farkas, Doriane Films and the Fondation Maison des Sciences de l’Homme. Images : Fingerprints (Charmant Rouge, 2007) / ROM (POM) (Menelaos Karamaghiolis, 1989).